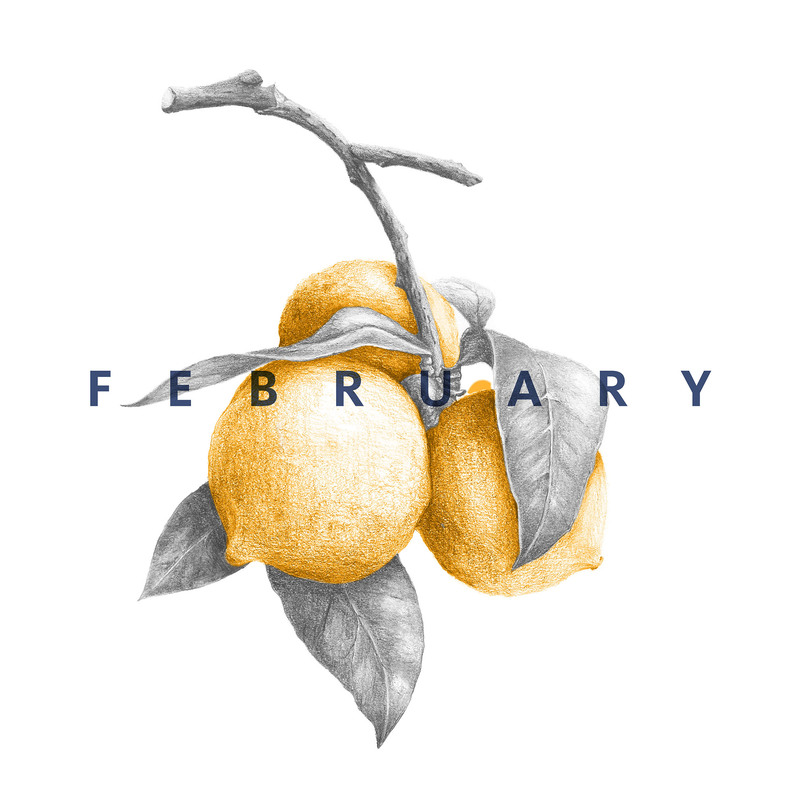 I have a little something to tell you…. nothing big, well pretty big actually, big enough to keep us so busy that we’ve been eating quick and easy meals like pizza or eggs. Simple meals, comforting and without too much mess. 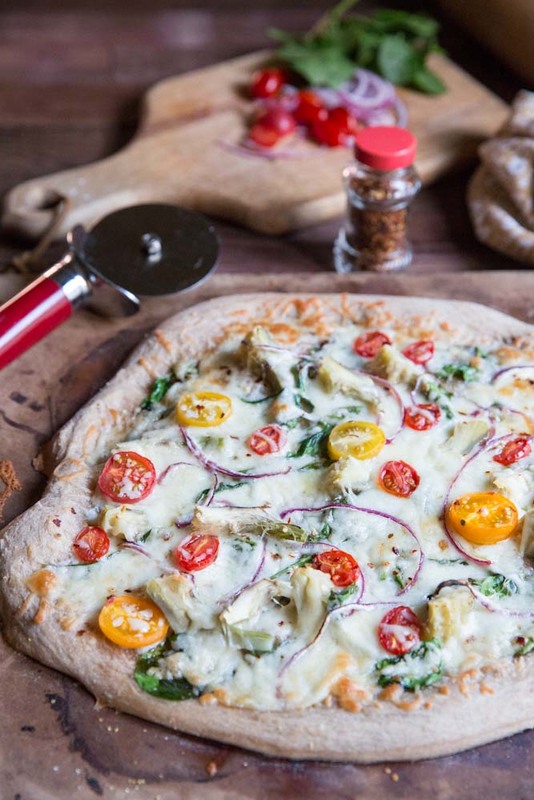 This spinach artichoke pizza does the job just perfectly. So here’s the news … Josh and I are writing a book together. We’ve been asked by a publisher out of Connecticut to write a book about the Salt Lake dining scene and feature local chef’s along with a recipe from each chef. It’s been a blast so far but if things have been a little quiet around here now you know why. But it’s Spring and though I have a million things to do, and most of our meals are being enjoyed outside of the home, I just can’t help but want to steam fresh artichokes, shell peas, and plant herbs. So, I took a second this weekend, and made some pizza, a pretty simple and satisfying dinner that I could make with my own hands and chose exactly what I wanted to put on it. 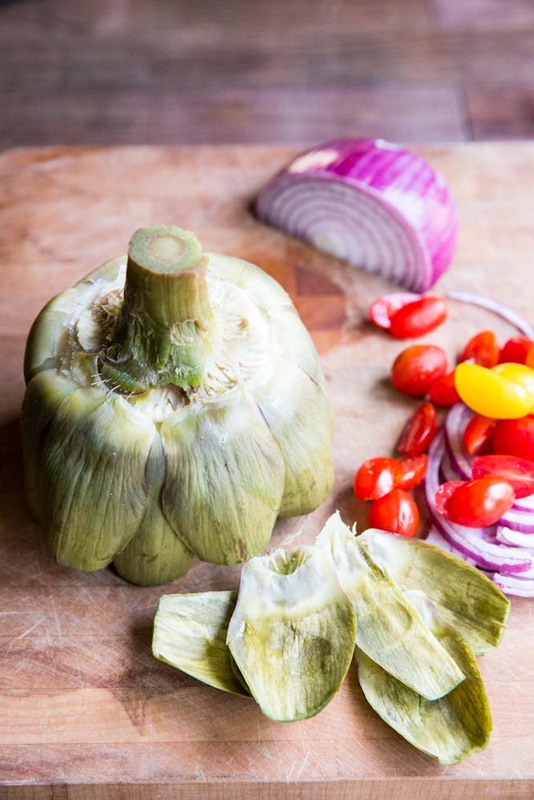 Artichokes are such a fun part of spring! We mostly enjoy steaming them and eating them fresh, dipped in butter, but on a more rare occasion we’ll throw them in with pasta or on top of pizza. And check out Nosh On It for the big Pizza Week introduction. 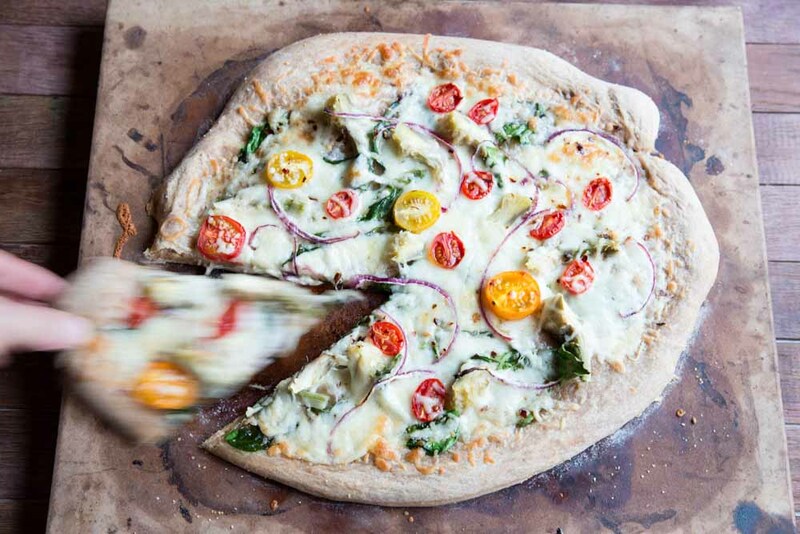 A simple pizza topped with spinach, artichokes and cherry tomatoes. Roll your crust out then brush with a teaspoon or so olive oil and a few sprinkles of salt and pepper (I also used a little onion powder here). Spread out the artichokes and spinach then top with the cheese. Toss the onions and tomatoes over the cheese and sprinkle a little red pepper around. Bake at 450 for 15 minutes or until crust is golden brown. This looks amazing Becky! 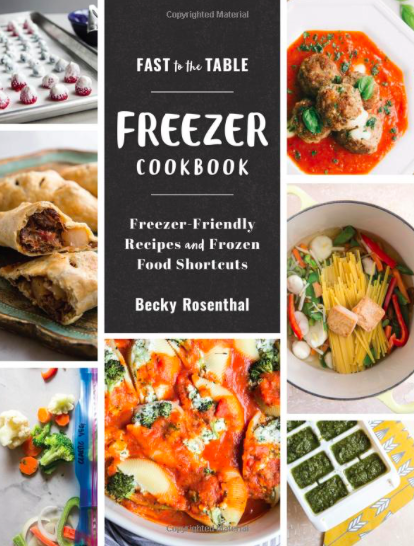 And so honored to have your cookbook announcement as part of #PizzaWeek – congrats!!! Thanks Vijay!! 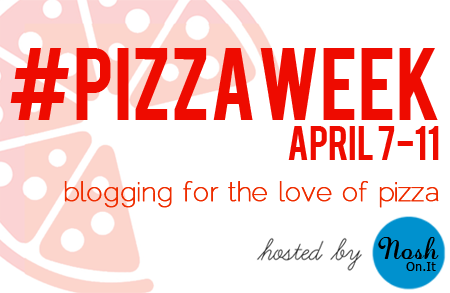 And also thanks for including me on pizza week. This pizza is stunning, Becky! Love the addition of artichokes! Thanks Lauren!! I’m loving artichokes this season. Still learning how to cook them perfectly but its a fun experiment. Mmm, spinach and artichoke is one of my favorite combos. And on a pizza? Major swoon. I love the spinach artichoke combo too especially with fresh artichokes!! Thanks for stopping by my blog Stephanie! Super happy for you guys with the book. Now this is a pizza that I would enjoy. Thanks Meagan! Great to hear from you! So psyched for you and Josh! I love the idea of using fresh artichokes on pizza. Looks delicious!! Mmmm… Excited to try this and to break away from the same ingredients I always use on pizza. Thanks! I’m curious as to what your go-to pizza ingredients are Dan?! Excited for you and Josh, Becky! And thanks for sharing this recipe! 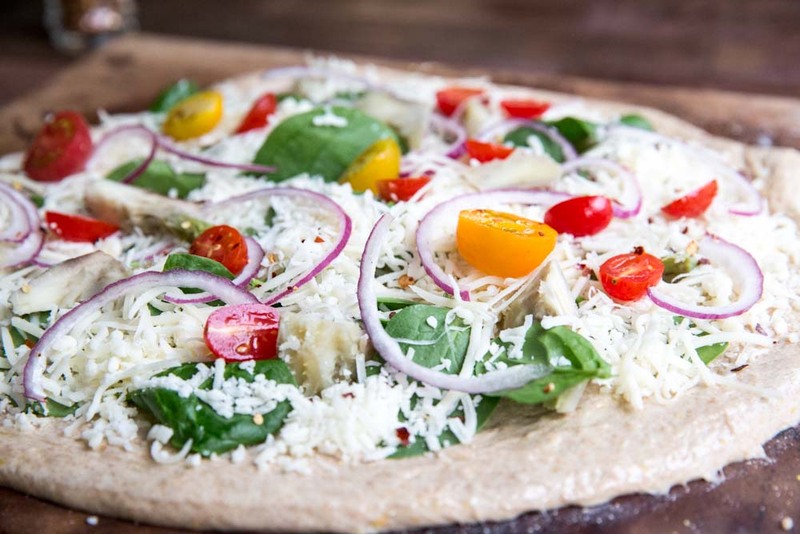 I really want to try a gluten free crust soon- do you have any recommendations for brands you can find at grocery stores? Congrats on the book deal! I’m sure it will be chock-full of local goodness. Can’t wait to read it. Thanks so much for the encouragement Amanda! It will be out in December!! The Salt Lake dining scene is budding and its a fabulous time to visit! Hope you make it out here soon! WAY! Exciting and BIG News! Can’t wait to see it in print. Its going to be deliciously Awesome! I love that we both got the artichoke memo 🙂 This pizza looks fresh and amazing, and totally perfect! Congrats on the book…so exciting!! Spinach artichoke is always a win! Congrats on the book! Seriously tasty looking pizza, love the flavors. Thanks Gerry. 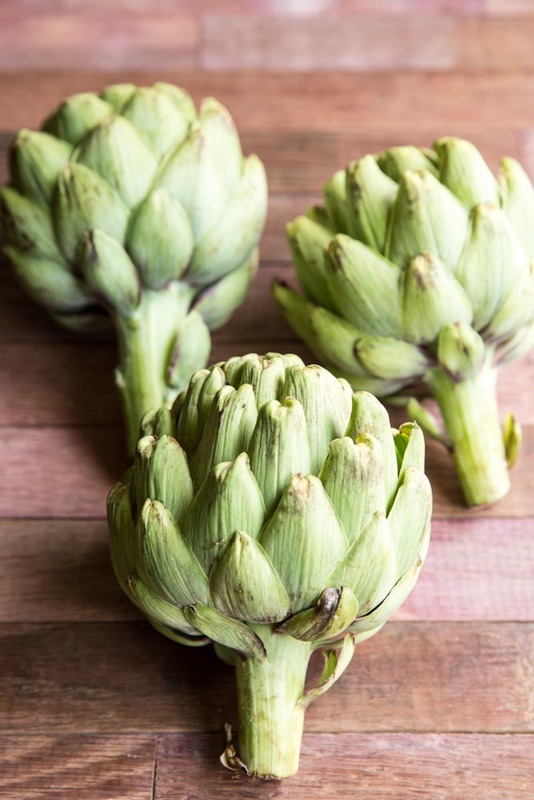 You can’t go wrong with spinach and artichokes especially fresh artichokes! That is awesome news about the book; congrats!